What plays a crucial role in this matter is the genre. Certain expectations are triggered by knowing the genre of movies or books for example. A comedy would not be considered a comedy if laughter and humour were not involved. A crime novel would not be considered as such if no crime was committed. That is why, knowing that the so called “world’s worst written sentence” was penned by an author and academic of economics and can be found in a book on the economic crisis sheds a different light on the sentence. The column seemed to have caused quite a stir as Mark Liberman, linguist and Language Log blogger, investigated the Economist’s own language use. Another column by the Economist on the issue of style followed. 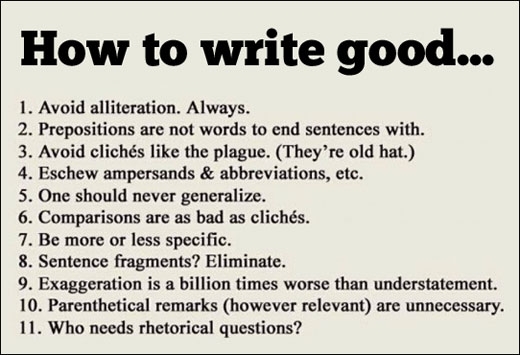 Reference was made to George Orwell‘s rules on writing which were first seen as the remedy for stylistic issues such as the “world’s worst written sentence”. 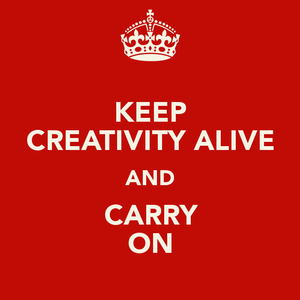 Another piece of advice: Keep creativity alive and carry on. This entry was posted in Uncategorized and tagged language rules, rules for writing, style, Style Guides, The Economist, worst written sentence, writing. Bookmark the permalink.